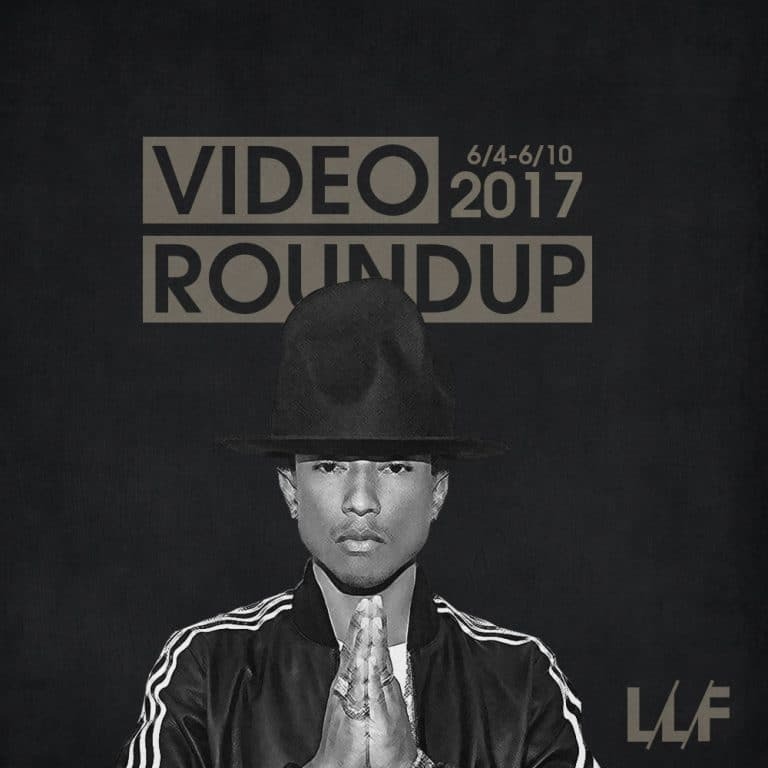 We got a really dope batch of new videos to kick off the month of June with new offerings from the likes of Pharrell Williams, Sia, A$AP Mob, Gorillaz, Ice Cube, and more. Check out everything I rounded up below, along with my reactions. Pharrell continues his (I’m sure highly lucrative) partnership with the folks behind Despicable Me, which only makes sense after the massive success “Happy” had. This is another feel good single that I don’t think will be nearly as big a hit as that one, but still fits the movie like a glove. The video is a cool blend of 16-bit graphics and live-action featuring everyone’s favorite minions. Ice Cube is celebrating the 25th Anniversary of his classic album Death Certificate. He was a pioneer with his raw, reality raps and it’s shocking just how relevant much of what he was rapping about back then still is today. “Good Cop Bad Cop” is a new single made specifically for the anniversary edition but it fits right in with the overall theme of the album. The title tells you everything you need to know about the song and the video is yet another look at police brutality and abuse of power. There is a slight fatigue with the themes but nobody does it better than Cube. Even though they just released their incredibly dense, genre shattering album Humanz mere months ago they’re back with another single and video that’s not even a part of that project. It’s a psychedelic dance song that’s most likely a leftover and the video’s rough aesthetics actually enhance the “out there” nature of the song. Amire Obé is yet another name you can add to this ever increasing wave of alternative R&B artists. Not quite rap, not quite R&B, with a lot of trap influences. He’s had a couple really solid projects to date but he’s still yet to really differentiate himself from the pack. The sound and visuals of “Wish You Well” are yet another solid offering but at this point it’s the norm, not the exception for this genre. Jhené Aiko was a really dope new, different artist when she first came with Sailing Soul(s), and while I don’t think she’s ever quite lived up to the full potential she displayed, she’s still managed to carve out a really solid place in music. My main issue with a lot of her stuff is that it all sounds very similar to one another and unfortunately this new single doesn’t really change that opinion for me. The video is literally a cheaper, cheesier 50 First Dates. Sia, the huge haired wonder is back with yet another powerful song and video for her latest single, “Free Me.” Much like her previous releases she enlists the help of a celebrity friend and interpretive dancers to really bring out the emotion in the song. There’s not much negative I can say about her; I think she’s got an incredible voice and unique artistic vision and she’s done it yet again. T-Pain is basically the poster child for just how finicky the music industry can be. At one point he was undoubtedly the biggest name in music with hit after hit after hit, but now he’s often relegated to the has-been category. I don’t think that’s as much due to lower quality music as it is to just a general shift in musical tastes that he has been unable to transition to. “F.B.G.M” is a typical T-Pain record in lyrics and production, and while it’s a solid offering, it just feels outdated compared to the sound nowadays. But hey he can always make money in Europe. Is the Mob gearing up for a Cozy Tape Vol. 2? I sure hope so, as that tape was fire. “Wrong” is that Harlem trill sound at it’s finest and they always come correct with the matching visuals. Decked out in all white, with hazy, lo-fi shots of them lamenting about their sins in an old cathedral of sorts shows why they are some of the most stylistically impressive artists out today. They just get it; and I hope this means that Vol. 2 is on the way sooner rather than later.